LOS ALAMOS, N.M., Nov. 13, 2017—A quest to help the systems software community work on very large supercomputers without having to actually test on them has spawned an affordable, scalable system using thousands of inexpensive Raspberry Pi nodes. It brings a powerful high-performance-computing testbed to system-software developers, researchers, and others who lack machine time on the world’s fastest supercomputers. Looking around for a solution to the challenges facing HPC systems software developers, Grider said, he “suddenly realized the Raspberry Pi was an inexpensive computer using 2 to 3 watts that you could use to build a several-thousand-node system large enough to provide a low-cost, low-power testbed to enable this R&D.” Yet he could not find a suitable densely packaged Raspberry Pi system on the market. “It was just people building clusters with Tinker Toys and Legos,” said Grider, a widely respected innovator in the HPC world. So he turned to SICORP of Albuquerque, N.M., to collaborate on a solution. 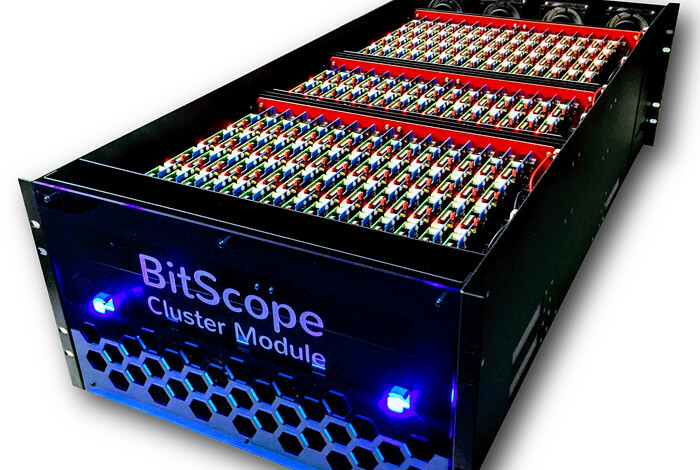 Then they jointly worked with BitScope of Australia to develop easily scaled rack-mounted units. Based in Albuquerque, SICORP is a leading IT systems integrator and IT services provider, with 20 years’ experience serving government scientific research laboratories, civilian agencies and commercial customers. SICORP has particularly strong experience in high performance computing (HPC), high performance parallel file systems and high performance networking.